Italian for "tiny dough", Pastina is the smallest shape we make; if you look closely, they're in the shape of a five-pointed star. 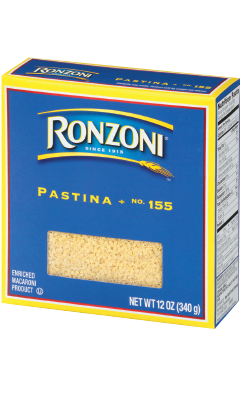 Pastina works best in light soups. It is often made in single servings for one of toddler's first foods.